Nobody likes surprises. At Mark Neader Automotive, we want you to be an informed buyer. That is why we will provide you with a FREE Vehicle History Report from AutoCheck, a part of Experian, on any vehicle in our inventory that you are interested in. To get your FREE Vehicle History Report from AutoCheck, just click the “AutoCheck” logo next to any vehicle you are viewing on our website, and we’ll generate and display the report for you, instantly. 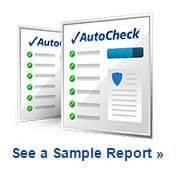 What is an AutoCheck Vehicle History Report? An AutoCheck Vehicle History Report helps you understand a vehicle’s history, enables you to compare similar vehicles you may be considering and helps you select the vehicle that’s right for you. AutoCheck Vehicle History Reports deliver information on reported accidents, odometer rollback, lemon vehicles, branded titles and much more. Our vast database pulls vehicle information from all 50 states and the information is aggregated and managed by Experian, a leading expert in credit and automotive data services. Even if you already have access to a vehicle history report from a provider, AutoCheck has its own set of exclusive data that may uncover further information about a vehicle you’re considering. When looking to make an expensive purchase such as a new vehicle, shouldn’t you have access to as much information as you can before making a decision? 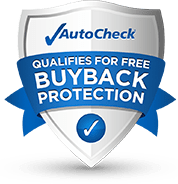 That’s why Mark Neader Automotive is happy to provide you, free of charge, with an AutoCheck Vehicle History Report, for any of our vehicles we are offering for sale. What is the AutoCheck Score?